Watermelon lemonade is the beset refreshing summer drink.After long winter summer started here in Chicago.Needed more refreshing drink to beat the heat. Made this watermelon with freshly prepared lemon juice. 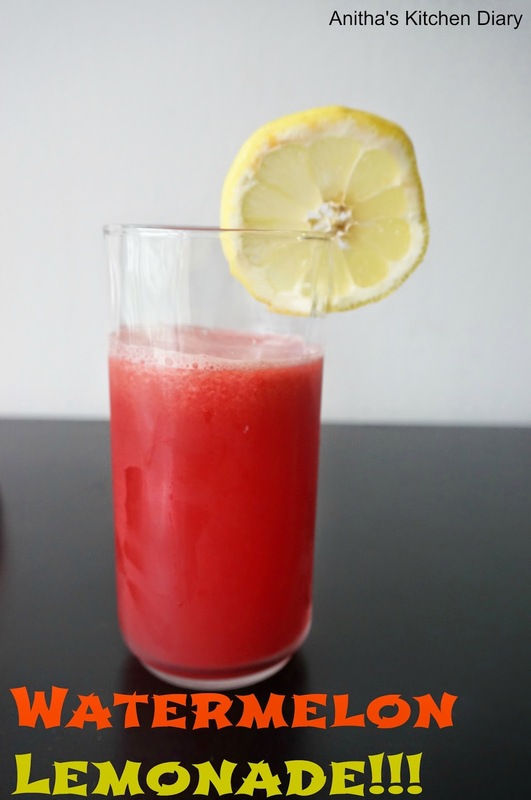 In a blender blend the watermelon with ice cubes and Strained through the fine filter. Stir the sugar, lemon juice until sugar dissolves. Pour into serving glasses and serve chill.